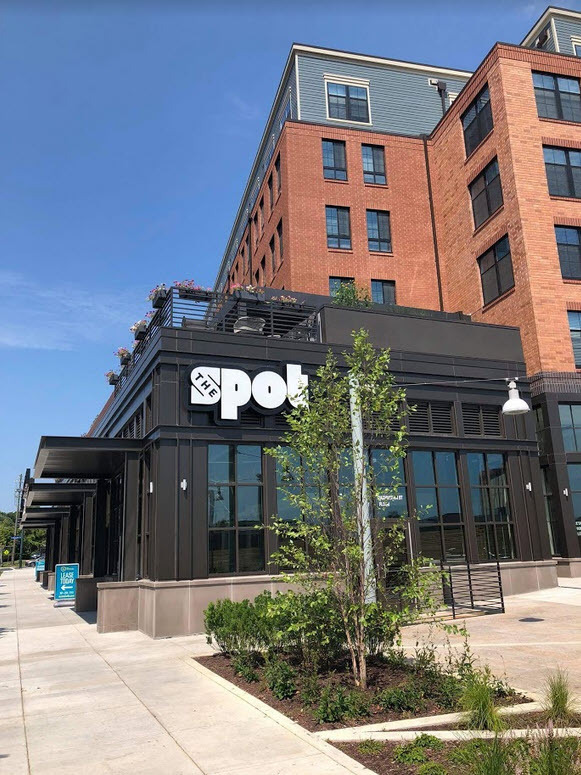 On July 7, 2018, Edward Wong of Akira Ramen & Izakaya and Urban Hot Pot, partnered with Vivian Zhu and Gary Ngo (founder of Poki District) to open The Spot, a 6,200-square foot Asian-fusion food hall near the Rockville Town Square. 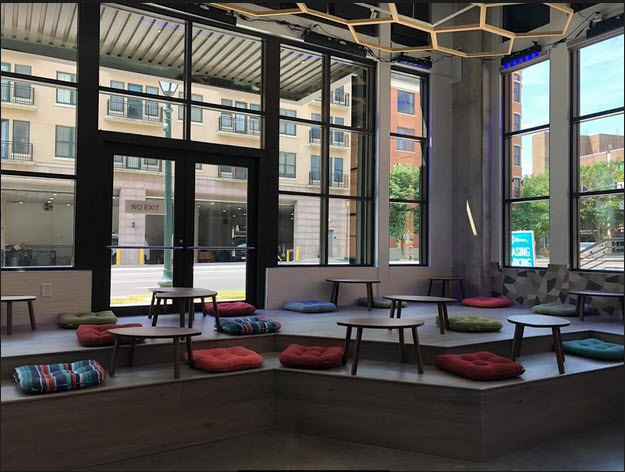 Wong envisioned The Spot as a destination for guests of all ages to hang out and enjoy an eclectic mix of Asian specialties. Currently, there are five out of seven food stalls open for business but with limited offerings. Mian Pull Noodles serves hand-pulled noodles and savory dumplings at 10-pieces per order. Cheers Cut, with outlets in Boston, Philly and New York, serves huge cuts of Taiwanese fried chicken and seafood. 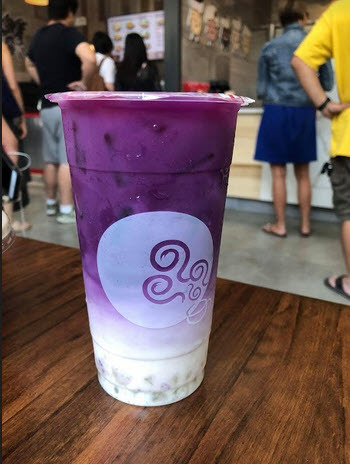 Gong Cha serves Taiwanese bubble tea with various toppings including coconut jelly, pudding, grass jelly, pearl, ai-yu jelly, basil seed, red bean, white pearl, and milk foam. 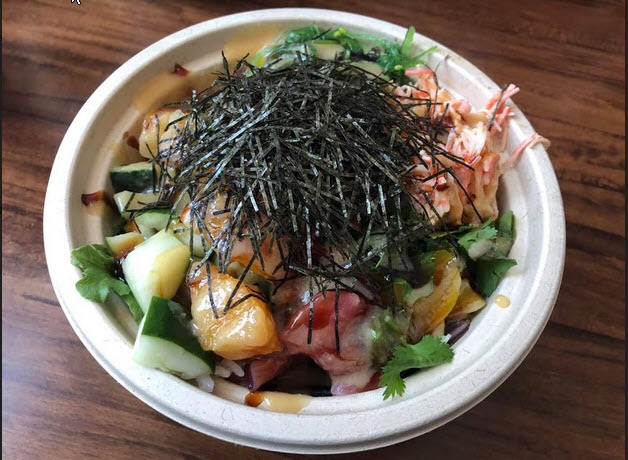 Poki DC serves made-to-order healthy, hearty, and fresh poke bowls. Alpaca Dessert is a dessert bar that serves Japanese ice cream in Hong Kong Style bubble waffle cones. 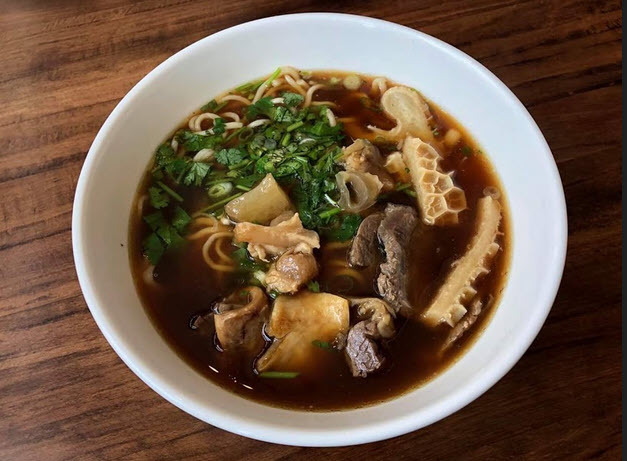 Mian Pull Noodles currently features Beef Pull Noodle Soup, Beef Flank Pull Noodle Soup, Assorted Beef Offal Pull Noodle Soup, Beef Tendon Pull Noodle Soup, Beef Tripe Pull Noodle Soup, and Spare Ribs Pull Noodle Soup. All soups offer a choice of flat or skinny hand-pulled Mandarin noodles. I enjoyed the Assorted Beef Offal Pull Noodle Soup, which consisted of hand-pulled thin noodles with beef flank, beef offal, beef tendon and beef tripe in a flavorful broth. Dumplings have recently been added to the menu and I did not get the opportunity to sample them on my visit. At Cheers Cut – Fried Chicken and Seafood combination meals are not yet on this Taiwanese stall’s menu. Each item must be purchased individually. After waiting over 30 minutes for my order, I tasted the Samurai Crispy Chicken, which consisted of a sliced chicken cutlet on a bed of shrimp chips served with honey mustard. Unfortunately, it was decidedly not crispy, but sadly soggy, and definitely not worth the price or the wait. 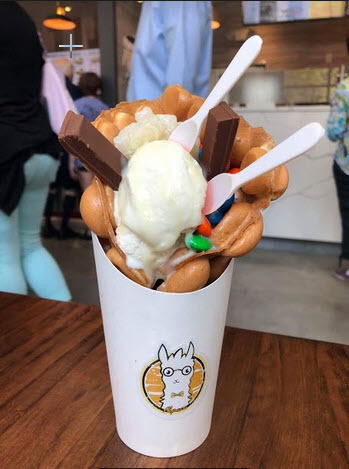 At the trendy Alpaca Dessert I enjoyed an Original Bubble Waffle with Vanilla Ice Cream, topped with KitKat’s, M&Ms and mochi with a pour over of condensed milk. The bubble waffle resembled the look and taste of those I have sampled in Asia. Choose from a variety of Japanese ice cream flavors – Vanilla, Chocolate, Matcha, Black Sesame, and Milk Tea. The remaining two food stalls – The Spot Bar and The Spot Grill – will open soon. The Spot Bar will serve alcoholic beverages and feature live music. The Spot Grill plans Chinese barbecue street food.